Do you like to travel? Dog sure does! This summer Dog joined Mr. Hembree and myself on a trip around the canyons of the southwest. We all had a great time – especially dog! Here’s a story about his trip. If you would like to read more about our trip, you can find that post here. Were you surprised by the terrain of the southwest? Have you ever visited these places? Do these places remind you of sights you have seen elsewhere? This afternoon the Hembree’s will be in your state on a little driving vacation to some of the national parks in the area. 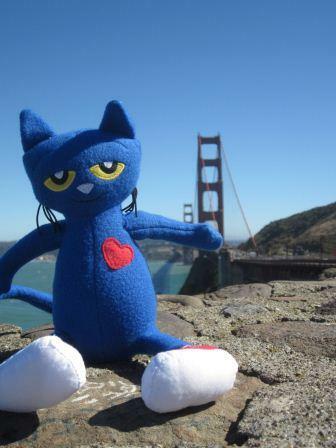 Last year we traveled to California with Pete the Cat. Soon after he moved to Australia and become a permanent Aussie! The year before, Pigeon went with me to Massachusetts to visit my family. Here is a link to that post and a movie I made about our trip. So, who is coming along this year? It was a big decision because I had lots of fun choices in the library. When I was thinking about the possibilities, I realized we hadn’t traveled with a dog yet. How can that be? The owner of two dogs hadn’t traveled with a doggie friend on vacation? That’s when I made my decision. 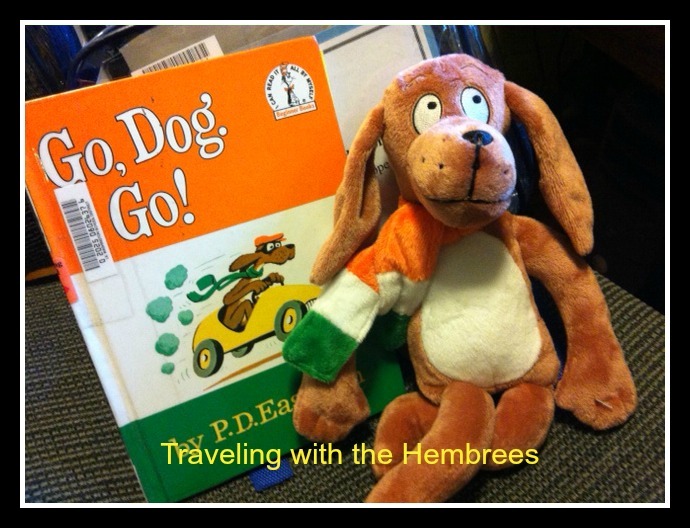 The dog from my favorite book when I was a little girl would be our guest! I hope he can handle the heat because it’s going to be pretty hot! So, look for some upcoming posts about our trip! We will be going to Zion National Park, Bryce National Park and the Grand Canyon. We are also going to a place called Antelope Canyon. Do you know where that is? Why is it named antelope canyon? What state will we be in at Antelope Canyon? Leave me a comment and let me know what you find out! And don’t forget to keep reading! 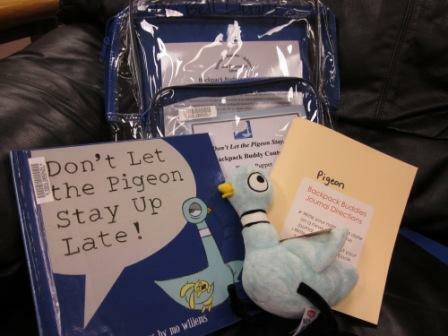 I have books with me too!